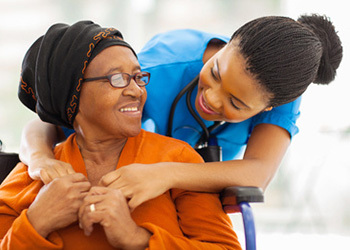 Our nurses provide excellent care combined with dignity for our residents at each of our convenient locations. Professionally staffed around the clock, our nurses will provide you or your loved one with comfort and specialized care. Each of our residents arrives at one of our locations with very different and specific rehabilitation needs. Each of our rehabilitation teams is committed to creating individualized therapy programs that directly answer those specific needs. We encourage each resident to achieve their maximum potential of independence and ability. Outpatient therapy is offered at all our facilities. Outpatient clients include both new referrals from physicians and clients that seek a continuum of care in a familiar setting. Our locations can offer a separate entrance for this service. Outpatient therapy must be provided under physician orders. Please contact any of our locations for further information. Long-term care is provided at all our facilities. We offer long-term residents private and semi-private rooms and an active restorative program to assure that residents maintain their skills and abilities to live as independently as possible. Hospice care is available at all our AHC facilities. The interdisciplinary team of physicians, nurses, certified nursing assistants, social workers, and community spiritual volunteers address the medical, social, psychological and spiritual needs of all involved. A positive and uplifting atmosphere is vital to the success of healing, recovery, and rehabilitation. American Health Corporation Nursing & Rehabilitation employs outgoing and friendly professional staff to create social programs and activities to fit the residents’ needs. We provide a monthly activity calendar to each resident to keep them informed of upcoming events. Friends and family are always welcome to visit and attend our special events.